Geneva: North Korea is only months away from obtaining the capability to hit U.S. territory with a nuclear weapon and must be disarmed, a U.S. envoy said on Tuesday, dismissing Pyonyang's diplomatic thaw with South Korea as a "charm offensive" that fooled no one. In a diplomatic showdown at a U.N.-sponsored Conference on Disarmament, North Korea responded by blaming Washington for escalating confrontation, saying it was deploying nuclear assets including aircraft carriers near the divided peninsula and was considering a pre-emptive strike against Pyongyang. "North Korea has accelerated its provocative pursuit of nuclear weapons and missile capabilities, and expressed explicit threats to use nuclear weapons against the United States and its allies in the region," U.S. disarmament ambassador Robert Wood told the Geneva forum. 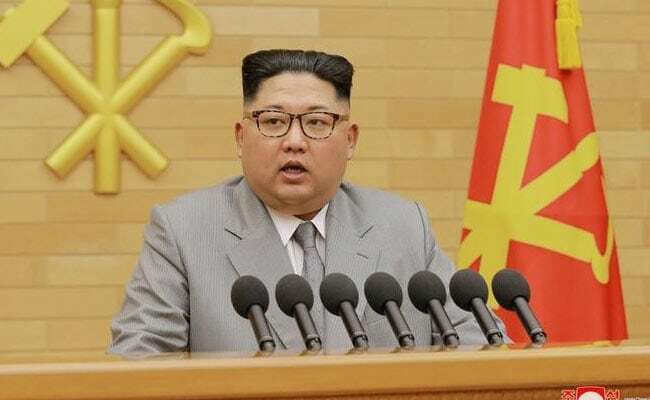 "North Korean officials insist that they will not give up nuclear weapons, and North Korea may now be only months away from the capability to strike the United States with nuclear-armed ballistic missiles," he said. A new U.S. nuclear policy review outlined last week "reaffirms that North Korea's illicit nuclear program must be completely, verifiably, and irreversibly eliminated, resulting in a Korean Peninsula free of nuclear weapons," he said. Asked later what the basis was for the assessment that North Korea would soon be able to hit the United States with a nuclear weapon, he said he had "no new information to share". North Korea tested its first intercontinental ballistic missile, the Hwasong-14, twice last July. In November it tested the Hwasong-15, believed to be capable of reaching the continental United States. It is not yet believed to have the capability to mount a nuclear warhead on a ballistic missile. North Korea is under tightening U.N. Security Council sanctions for its banned nuclear and ballistic missile programmes. But recent weeks have seen a thaw with South Korea, after Pyongyang agreed to send athletes to compete in the Olympic Games opening on Feb. 9 in the south. "What I would call 'the charm offensive' frankly is fooling no one," Wood told the talks. He also said arsenals in China and Russia were expanding, drawing rebukes from their respective delegations. "Russia, China and North Korea are growing their stockpiles, increasing the prominence of nuclear weapons in their security strategies, and - in some cases - pursuing the development of new nuclear capabilities to threaten other peaceful nations," Wood said. "We are not going to stick our head in the sand, we are going to respond to these growing challenges," he later told reporters. North Korea accused the United States of seeking to aggravate the situation on the divided peninsula by "deploying large nuclear assets" nearby, laying the ground for a possible pre-emptive strike against it. "In view of the nature and scale of U.S. military reinforcements, they are designed to make a pre-emptive strike against the DPRK," North Korean diplomat Ju Yong Chol told the talks, referring to his country's official name the Democratic People's Republic of Korea. "U.S. officials including the defense secretary and the CIA director repeatedly talked about DPRK nuclear and missile threat to justify their argument for a military option and a new concept of a so-called 'bloody nose', a limited pre-emptive strike on the DPRK is under consideration within the U.S. administration," Ju said. He said President Donald Trump's 'America First' doctrine and U.S. nuclear superiority would endanger global peace and security and "trigger off a new nuclear arms race and could bring the whole world close to a horrible catastrophe".